Hi! I’m Vanessa and I’m a wheelchair user. I bought a new car and it was not an easy process. I almost had a meltdown! When some salesmen see a wheelchair user, they think it’s time for shakedown. Boy oh boy, did I get the runaround. The fourteen thousand dollar down payment check had to be shutdown. … and I had a showdown with two separate dealers. BUT, I finally got the car I wanted from an honest dealer located downtown. Sit back and let me tell you my story so you can avoid a showdown! And make your car deal a touchdown for YOU! Get the MSRPs (Manufacturers Suggested Retail Price) from Different Brands. That way, you are comparing apples to apples. Test drive every car you’re interested in. Do not put down a deposit to hold a car! I almost got burned and it took a dealer two months to refund my money. 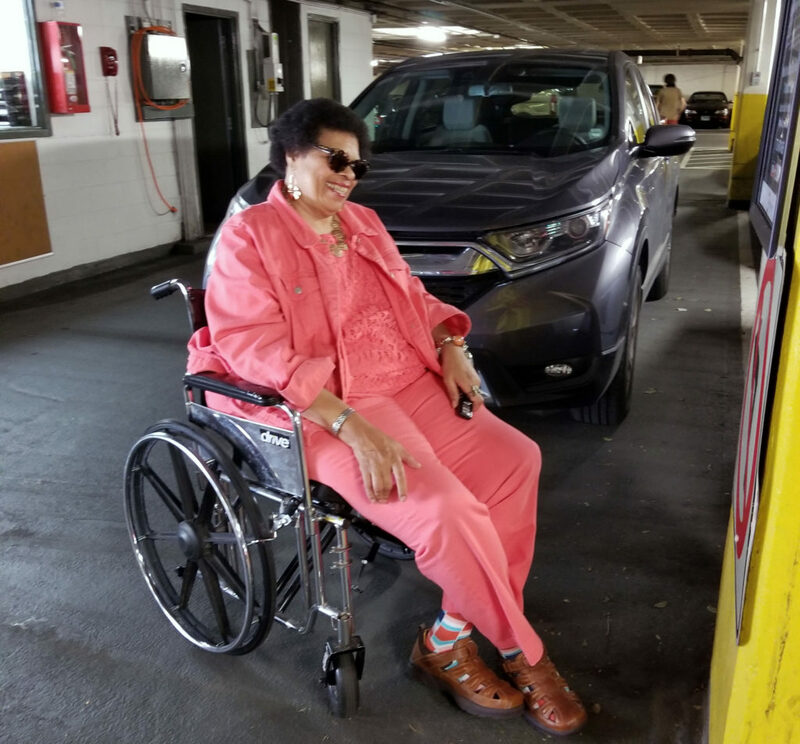 If you have assistive devices like a wheelchair, make sure they work with the car you’re buying. Most car dealers don’t have that much experience with people with ability challenges and won’t know exactly what you need. One dealer said they knew which lift I needed, and they showed me a picture of one model, but didn’t show me a video of how if operated. Be aware that there are many types of options for your assistive devices at many price points. You need to know what you need. Another salesman told me to go to an assistive company and tell them the make and model of the car I wanted and let the assistive company determine if the lift would work. This salesman didn’t even give me a brochure of the car, or the dimensions of the back of the car. (Apparently, he didn’t want my business). I almost made one fatal mistake when I almost bought a car without having it measured for the lift or hoist. NEVER DO THIS! 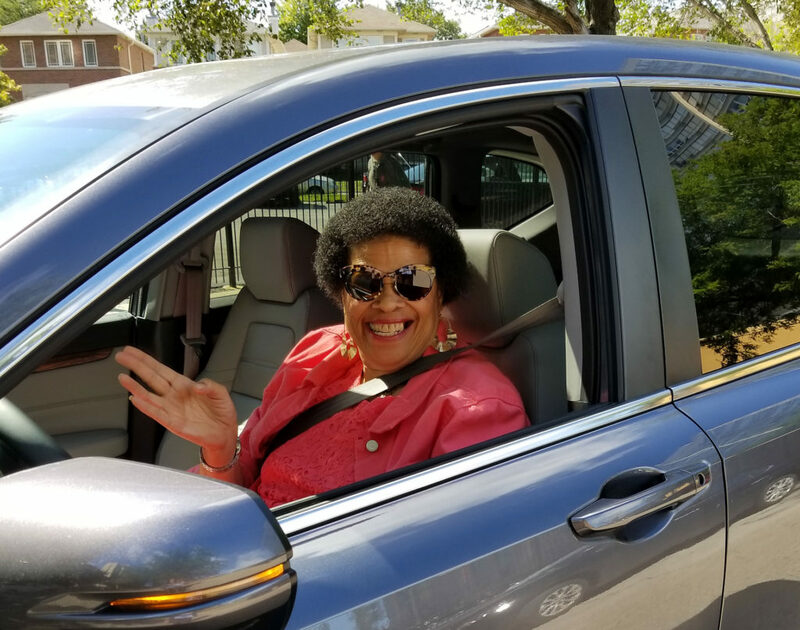 TEST DRIVE THE CAR YOU ARE BUYING TO THE ASSISTIVE COMPANY AND HAVE THEM MEASURE IT AND LET THEM PROVE TO YOU THAT IT WILL WORK WITH YOUR ASSISTIVE DEVICE BEFORE YOU GIVE ANYONE ANY MONEY OR SIGN ANY PAPERS BUYING A CAR. Do not discuss Monthly payments when you are negotiating price. BASE YOUR DEAL ON THE TOTAL PRICE. Get a finance rate from a bank and a credit union. Banks and credit unions usually give you a much better interest rate. If you get a good rate initially from someone else, you are in a much better position to deal. Most dealers advertise 0% interest, but when you get there, you find out that you don’t qualify for it. In fact they usually have a second salesman, the financial guy who has an even harder sales pitch than the guy who is trying to sell you the car. These dealers basically sell mini vans. I wanted an SUV, so I checked out Nissan, Ford, KIA, Toyota and Honda. There are many others. I got the 2018 Honda CRV EXL with all wheel drive. The CRV is the 2018 Motor Trend Car of the Year. I am very happy with my car and it takes me everywhere I need to go, so now I am a lot more independent. One of the people who made this sale a positive experience for me is Gary Wexler, General Manager of Downtown Honda. Gary used to manage dealerships that sell high end cars Lamborghini’s and Porsches. Now he sells Hondas and Volkswagons. After all that I had been through, Gary made sure that I got the car I wanted at the BEST PRICE and the BEST FINANCE RATE FOR MY SITUATION. Gary also made sure that I finally got the wheelchair and lift measured before the final deal was closed. I took the car to Mobility Works in Villa Park, Illinois and met with Keith Brand. Keith measured the car and the wheelchair, checked with his manufacturers and was able to identify the perfect lift for my vehicle. It was also two thousand dollars cheaper than the price quoted by other dealers and assistive equipment companies. This is Keith showing me how to operate my lift. This is how my hoist works! Gary Wexler of Downtown Honda also made sure that I got the rebate from Honda for buying the lift for my wheelchair. This is what Downtown Honda looks like. Gary has a special empathy for people with disabilities because of an experience he had with a close friend of his. If you are looking for a new car, one of the places you should definitely stop in is Downtown Honda. But make sure you talk to Gary Wexler, the General Manager. Gary knows the experience I went through and he knows exactly how to make the car buying experience a good one. Don’t let anyone give you the runaround. And PLEASE, don’t make the same mistakes I made. Please share your experience buying a car in the comments below. I need to hear from you. And please subscribe to my channel so that you can hear about how to make your life better and more enjoyable if you have ability challenges! Talk to you later! Bye Bye!